On Dry Seneca Creek east of Poolesville (1879 Atlas) The mill was at NW corner of Dry Seneca Creek and Sugarland Road. Joseph Dawson, Frederick A. Dawson. 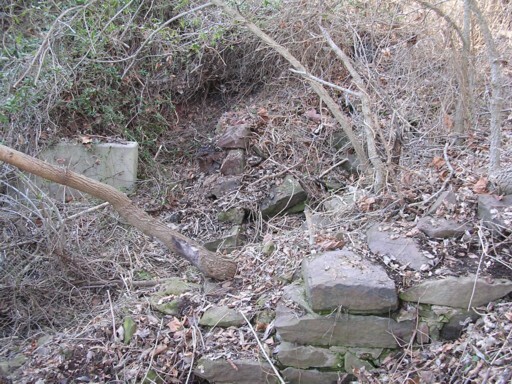 The remains of the mill are about 10 feet from Sugarland Road on the north west corner of where it crosses Dry Seneca Creek. 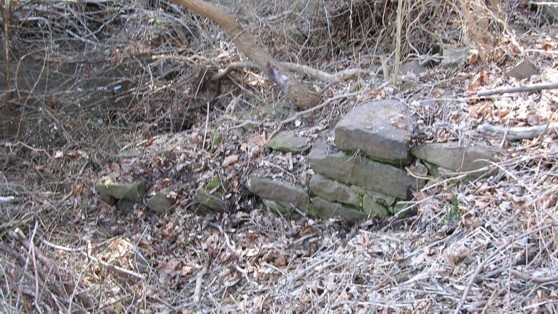 Two walls of the foundation are visible. 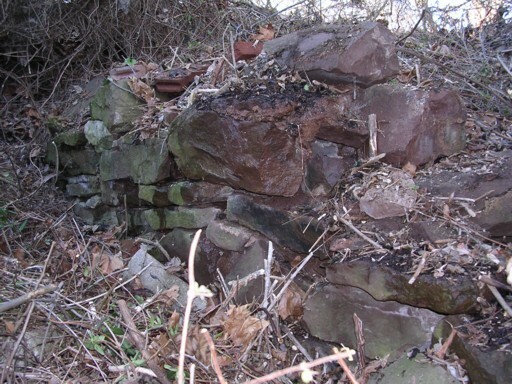 The other walls have been destroyed by the nearby culvert or are not visible due to the heavy growth of multi-flora rose. The mill run is about 10 feet above the level of the creek and follows the contours of the bank until it meets the creek about a quarter of a mile away.